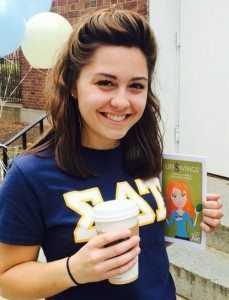 Sigma Delta Tau supports the mission of Jewish Women International…to make certain that all girls and women have the fundamental right to live in a safe home, thrive in healthy relationships and realize the full potential of their personal strength. Jewish Women International (JWI) works to ensure that all women and girls thrive in healthy relationships, control their financial futures and realize the full potential of their personal strength. JWI is a leading Jewish organization empowering women and girls of all backgrounds through economic literacy, community training, healthy relationships, and the proliferation of women’s leadership. In October (Domestic Violence Awareness Month) each year, SDT chapters organize events to support Girls Achieve Grapeness. We raise funds to support JWI programming through sales of our exclusive Girls Achieve Grapeness OPI purple nail polish. We have raised over $80,000 annually for JWI through this engaging fundraiser. Learn more about Girls Achieve Grapeness on our custom website. 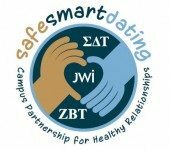 Sigma Delta Tau partnered with JWI and Zeta Beta Tau Fraternity to develop and offer the first national program on dating abuse and sexual assault for the Greek community on college campuses. Through a series of discussions, scenarios, news stories, live text surveys and video, this groundbreaking, interactive and co-ed program helps young people define and identify dating abuse and sexual assault as well as build skills to be active bystanders at school and in their communities. Life$avings teaches core financial literacy to put college-age and young professional women in control of their money so they can be economically independent, grow their financial resources and fully participate in money decisions throughout their lives. Life$avings covers topics such as: credit, debt, benefits and salary negotiation, and asset building for the future, and encourages participants to challenge any personal barriers hindering their own fiscal responsibility. The program has been tailored to the specific needs and interests of SDT’s collegiate women. The Book by Book Capital Campaign is JWI’s pledge to establish 100 children’s libraries in homeless and battered women’s shelters across the U.S. JWI transforms a basic shelter space into a library complete with furniture, hundreds of books, a computer and various comfort items. Sigma Delta Tau is working to fully fund a library in a New York City shelter by our 2017 Centennial Celebration. To support those efforts, donate through www.jwi.org/sdtlibrary. Over 45,000 women spend Mother’s Day in a battered women’s shelter each year. To lift their spirits, JWI sends bouquets of flowers and baskets of OPI beauty products to over 200 shelters. For every $25 donation, JWI will send a Mother’s Day card to a special woman in your life letting them know a donation has been made on their behalf. This is a favorite campaign of many SDT collegians and alumnae. Learn more about these programs offered by JWI by visiting their website.